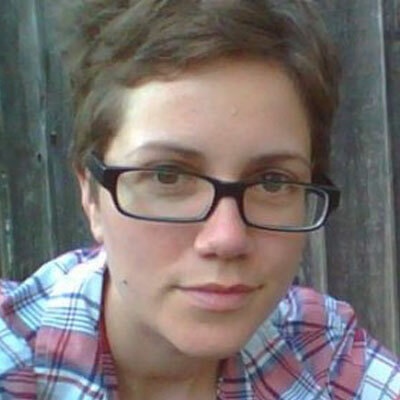 Abi Jones is a designer and sprint master at Google. She helps teams answer critical business questions through design, prototyping, and testing ideas with customers. Abi specializes in storyboarding and in 2015 she illustrated the 2nd edition of Understanding Your Users. Exploring product ideas with stories bridges silos between your teams and gets you communicating by using collaborative methods to define product direction. By crafting a story together, every member of your team is focused on building a single, cohesive product. Destroy zombie ideas, the ones without a brain or beating heart. Zombies eat resources and sap your team’s time, energy, and commitment. Your storyboards will drive a product’s structure and flow, saving time by focusing on living, breathing ideas that provide value to your users. This workshop is useful for people who participate in the decision-making process about a product, including designers, developers, product managers, and business owners. This workshop is designed for people of all levels of experience. Abi Jones compares human-to-human and human-computer conversation and interaction, introducing you to the conversational machines in your life and those to come. Learn what makes for great human-computer speech interaction from the first turn to the last, how computers interpret speech, and why it’s more enjoyable and addictive to talk to a 1960s chatbot than most intelligent assistants available today.